The Canadian Museums Association (CMA) is pleased to see that the Federal budget just released for 2019 includes ongoing support for Youth Education and Employment, which the CMA has long recommended and managed. Both summer jobs and the internship programs would benefit from additional funding. Government funding also provides financial support for a variety of established and to new programs, such as those that encourage indigenous languages, foster inclusion, or improve education. The Federal Government’s budget for 2019 includes an intention to encourage Canadians to donate cultural property of “outstanding significance” and “national importance” to certain designated Canadian institutions, such as museums and public art galleries. Hopefully, this plan will ensure that important cultural property remains here, for the benefit of all. The Canadian Museums Association is the national organization for the advancement of Canada's museum community. The CMA works for the recognition, growth and stability of the sector. Canada’s 2,600 museums and related institutions preserve our collective memory, shape our national identity and promote tolerance and understanding. Dr. Vanda Vitali — physicist, art historian, museum director, master planner, and a Canadian — is CMA’s new Executive Director. 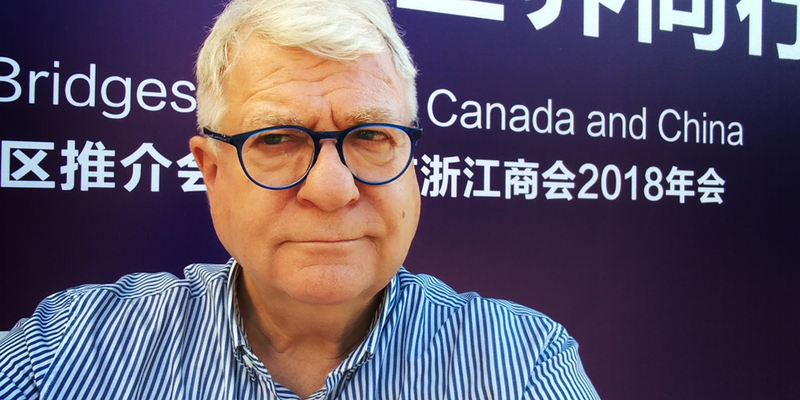 Dr. Vitali, fluent in both official Canadian languages, has directed or been involved at a senior level with museums of various sizes and interests nationally, as well as with heritage, contemporary art, and overall cultural concerns globally. She has also taught museum and related studies here in Canada, in the United States, and in France. Ms. Bachmann stated, "her comprehensive museum work over four decades has included archaeological preservation, conservation and collection management, as well as repatriation, exhibition development, and policy development." She added, "After a rigorous international executive search process led by Arts Consulting Group, the Board of Directors voted unanimously to name Dr. Vitali to lead the CMA and articulate the value of museums and Canadian heritage." Dr. Vitali was most recently the Chief Information Officer of the International Center for Innovation and Transfer of Technology in Jiaxing, China. 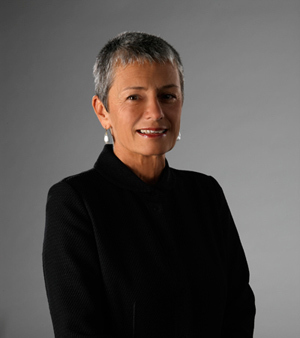 Previously she has held roles as CEO of New Zealand’s Auckland Museum, Vice President for Public Programs at the Natural History Museum of Los Angeles County, museology advisor to the president of the Royal Ontario Museum in Toronto, and director of the ROM's Institute of Contemporary Culture. Honoured by the World Academy for the Future of Women, she has also been designated as Chevalier of Art and Culture of France. In addition, she has been recipient of the Jim Blackaby Ingenuity Award from the AAM. After being invited to become the CMA’s next Executive Director, Dr. Vitali stated, "I am deeply inspired by the CMA Board’s confidence in me, and by its commitment to move forward into the next era of Canadian museums in our society." She added "Museums are vital nodes in our network of local and global institutions that safeguard our memory and identity. In our interconnected world, museums have become ever more essential to the preservation of cultural diversity and appreciation. Museums are community anchors across our country, they are school partners and economic engines, they are for everyone, and they are trusted." Dr. Vitali has created strong regional, national, and international alliances and she has been a tireless advocate for the recognition of, and importance of, museums in our contemporary society. She has been a consultant and museum evaluator for the American Alliance of Museums (AAM), and has been a long-standing member of the CMA, of International Council of Museums (ICOM), and of the International Museum Institute. CMA has nearly 2,000 members including non-profit museums, art galleries, science centres, aquaria, archives, sport halls-of-fame, artist-run centres, zoos and historic sites across Canada, and supports them with training and professional development programs, conferences, publications, networking opportunities, a body of knowledge, and a dedicated staff. Over the past 60 years, Canada's museums have developed an international reputation for excellent programming, dedicated public service, and high standards of professionalism. The CMA is governed by an elected Board of directors and maintains a full-service Secretariat in Ottawa. At its most recent meeting, the Board of Directors of the Canadian Museums Association unanimously passed a resolution to name John G. McAvity as the CMA’s first Director Emeritus. “John has overseen our association for close to four decades and we are so happy he has agreed to undertake this new role” stated CMA President Karen Bachmann. “With John as Director Emeritus, future Board members and others will now be able to gain a historical perspective that might have been lost” she continued. This honourary title is in recognition of Mr. McAvity’s exceptional dedication, leadership and support to the CMA as well as his ongoing passion for museums and galleries everywhere, not only in Canada but internationally. It also recognizes his 37 years of devoted service as the association’s Executive Director. McAvity is credited for the growth of the Association from a handful of staff in 1981 to over 25 today, including successful fundraising. He is recognized for developing the CMA’s Advocacy role, lobbying for many improvements such as the $3 billion Indemnification Program, Young Canada Works, reconciliation with Indigenous communities, and expanding member benefits such as the group insurance program. In his new role, Mr. McAvity will assist with the leadership transition and continue as a Board member of the Museums Foundation of Canada, and the Board of Can4Culture and its Canada-Asia program. McAvity has received many awards over the years including the Order of Canada and an Honourary Doctorate from the University of New Brunswick. The CMA Board also want to congratulate Mr. McAvity on his recent retirement and look forward to many years of collaboration, advice and guidance in his new role as Director Emeritus. 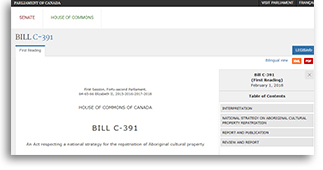 Ottawa, May 11, 2018 — On May 10, CMA Executive Director John McAvity was in studio with Alan Neal of CBC Radio Ottawa’s All in a Day, to discuss the proposed legislation, Bill C-391, an act respecting a national strategy for the repatriation of Aboriginal cultural property. The act has been put forward by Liberal MP Bill Casey (Cumberland — Colchester, Nova Scotia).